The AA-8 Chest Mount lets you attach the camera to your chest, enabling hands-free shooting during sporting activities. Water-repellent performance ensures reliable shooting even during winter sports or on rainy days. 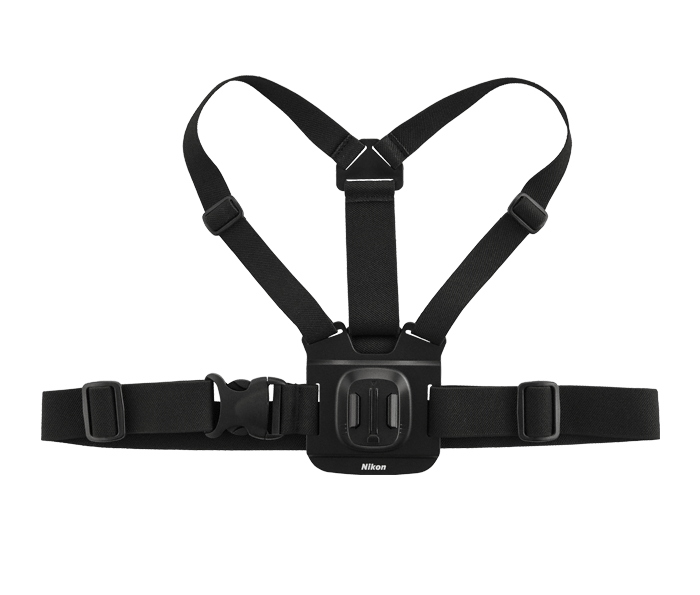 Be sure to secure the chest mount to your body before attaching the base adapter.